1.Gun Trigger Animations don't linger anymore after going into pineapple surprise, Little Doggy, Present For Ya and or any of the specials/supers. 2.Chimichangas now have a wall bounce for corners. 3.StopSnd's have been added to all main sounds including Intro's, stopping them when the round is started quickly. 4.PineApple Surprise has been fixed, the grenade can now roll on the ground and explode on its own if it doesnt hit the opponent. 5.HitOverrides have been added to PineApple Surprise, Present For Ya, and Little Doggy, preventing any clones. 6.Taunt has been fixed and it is now able to hit the opponent. Taunt Bubble has been added. 7.Final hit on Cutting Time has been slowed down to prevent early recovery. 8.All Katana-ramas have new slash hitsparks. 9.Throw now has slash sound FX. 10.Shadows from the bullets have been fixed, Diagnol Air Gun Trigger bullets now hit the floor. 12.Sounds from PineApple Surprise, Little Doggy, and Present For Ya now cancel the sounds from Gun Trigger when preformed. 13.Time Over remark has been fixed. 14.Letting go of the Gun Trigger button will no longer cause you to do the PineApple Surprise, Little Doggy, and Present For Ya, you must now press the button an additional time in order to preform these moves. 15.4th Wall Crisis should now hit properly when you're in the corners. 4.The Hyper Background No longer lingers when Supers miss or if DeadPool is hit early. MvC3 Announcer for ground combo's and MvC2 Announcer for Air Combos (Aerial Rave) 5 Aerial Combo or more. 6.Throw has been fixed, somewhat fixed anyway. When holding back, the opponent doesnt stay behind you, the opponent instead moves slightly inward towards the middle. 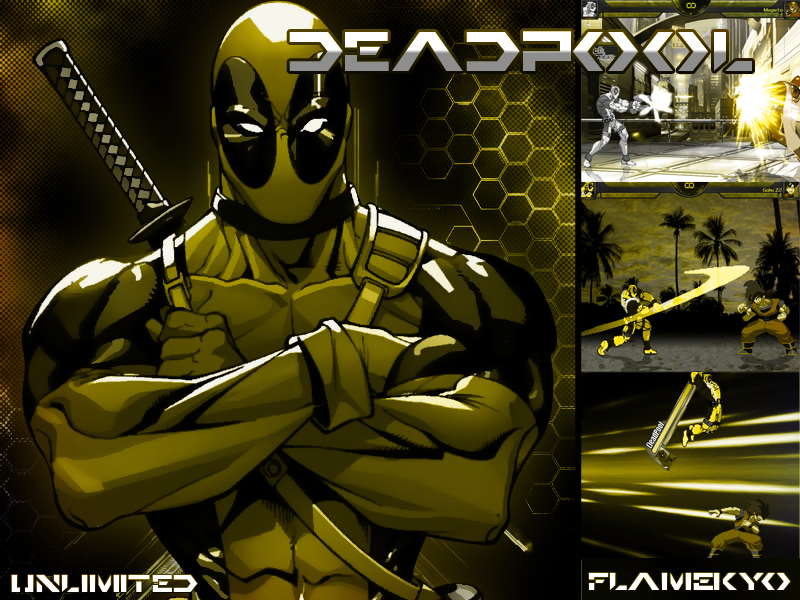 7.QuickWork recovery is slightly faster, allowing DeadPool to combo after if timed right. 8.Katana-Rama M and H knock opponent down rather than launching them when standing, however Katana Rama L still launches opponent for combing reasons. 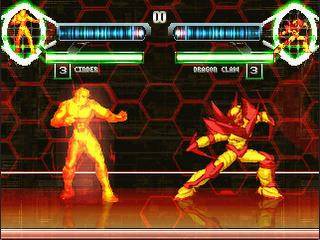 9.All Crouching attacks can combo intro Standing attacks and vise versa. 10.Aerial Gun Trigger FX now follow gun. 11.Any Trigger Gun specials can now go into any Ninja Gift.